Do you have a love hate relationship with technology? We all do to a certain extent, don’t we? Being plugged so to speak affords us so many wonderful opportunities, flexibility and so on. On the other hand, it can keep us hooked to the point that we’re just not connecting as human beings. 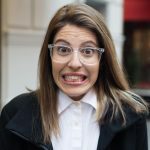 As my guest on the show says, “left to our own devices, we’re not connecting.” I have Erica Keswin on Jewish Latin Princess. Erica is the founder of The Spagetti Project, a platform devoted to sharing the science and stories of relationships at work. She is a workplace strategist who has worked for the past twenty years with some of the most iconic brands in the world as a consultant, speaker, writer and professional dot-connector. Her forthcoming book, Bring Your Human to Work: Ten Sure-Fire Ways to Design a Workplace That is Good for People, Great for Business, and Just Might Change the World, will be published in the Fall of 2018. So we’re very lucky to be catching her on the show now. 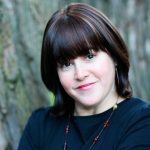 In the meantime, Erica’s work and insights can be seen in varied media outlets, from Huffington Post, Harvard Business Review, O Magazine, Better Homes and Gardens, Ellevate Network, Mogul, Conscious Company. I find this topic fascinating and so relevant. My family and I unplug for 25 hours every week for Shabbat and for Jewish Holidays, but still the use of technology is something inevitable in today’s world and as Erica will tell us today, we’re still in diapers when it comes to knowing how to manage all this new technology. In her words, “it’s the wild west.” We can all use Erica’s wisdom… business owners – especially those having to manage millennials, employees, parents, spouses… it’s time to learn how to be more intentional about how we relate with technology and bring back the human to our work… Here’s Erica Keswin.